For the second straight year, manager Marty Pevey had to assemble a starting rotation made out of spare parts until August. Injuries and promotions at both the major and minor league levels cut his starting rotation short. The I-Cubs did have a potent offense led by the Cubs minor league player of the year, Victor Caratini. Starting pitcher Jen-Ho Tseng put together the best half by a pitcher in AAA since Kyle Hendricks was there. The Iowa Cubs are still producing prospects to help Chicago every year. This year we saw, in addition to Caratini and Jen-Ho, Ian Happ, Eddie Butler, Jeimer Candelario, Mark Zagunis, Dillon Maples, and several relief pitchers help out the big club in some capacity. I expect more prospects will help out again in 2018, likely they will be just in bench roles. I don’t see anyone with the everyday playing career path of Ian Happ in the upper parts of the pipeline. Caratini looks to make the 25 man roster in Chicago next spring but just as the backup catcher. I am curious as to what the plans for Mark Zagunis are as he doesn’t have much left to prove in AAA. 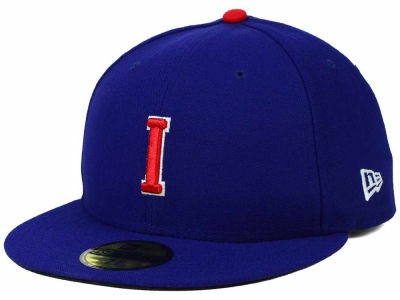 Here are seven things to know about the 2017 Iowa Cubs. 1. Bijan Rademacher had the quietest best second half of any prospect in the system. I was a little surprised he wasn’t named the July player of the month as he hit almost .400. He can play all three outfield positions and I think he has one of the best outfield arms after Eddy Martinez. The issue is that he doesn’t project to be anything other than a fourth outfielder. Then again, he hasn’t really been given the chance to show that he can be something else. He has begun to hit for more power and I like what he can do at the plate. He can hit for average and he knows how to work an at bat. 2. I would not be surprised to see the big league club continue to clean house again at Iowa. The 2017 roster at Iowa only had a few position players that might project to make it to Chicago. Most of the roster were journeyman players looking for one more opportunity to get back to the big leagues. With Tennessee sending anywhere between 6 and 9 position players to Iowa next year, I don’t think there are going to be too many roster spots available for any player or prospect nearing 27 years of age. Already, Jake Hannemann, Pierce Johnson, and Felix Pena have new homes for 2018. I don’t know if John Andreoli will be back again either. 3. I still believe in Chesny Young despite his up-and-down year. I think that he has some adjusting to do at this level and I’m confident that he will do well in his second go around at AAA in 2018. 4. Unless Eddie Butler can add some sort of out pitch, I don’t know if he’s going to be anything more than a fill-in at the major-league level. He had his moments this year in Chicago, but he never went much beyond five innings. He needs to be more efficient to get outs quickly and go deeper into games. 5. I am still pulling for Ryan Williams to make it. I just like the kid. He has a bulldog mentality that I love. However, after basically missing two full seasons, I wonder if returning to the bullpen might be best for his long term health. In 2018, we will see. 6. Dillon Maples is going to be close to making the Chicago Cubs 25 man roster next spring. I like the fact that he’s going to get more instruction from big league coaches that will only enhance his chances. 7. For me, the highlights of the year were the second halves of Jen-Ho Tseng (1.80 ERA) and Taylor Davis (.297 avg with 62 RBI). I am glad Davis got the call to make it to Chicago. His story is a tale of perseverance and he is an outstanding teammate and hitter that I think can play somewhere in the majors. I don’t know if Tseng will be given a true opportunity to pitch in the big leagues next year but he should get a few starts with the club in spring training. A lot of his future is tied to what the Cubs do to add starting pitching this offseason. There are going to be at least six position players from Tennessee who should start in Iowa next year. I think many will benefit from playing in the Pacific Coast League but none more than catcher Ian Rice. If you dismiss his batting average and just look at his power numbers and on base percentage, you begin to see his value and how much greater he is than his fellow prospects (17 HRs, .353 OBP). I think he is really going to benefit from playing in the hitter friendly Pacific Coast League more than any other prospect in 2018. Jason Vosler will also benefit from playing in such environs. After a poor second half, Vosler should look to recapture what made his first half so fantastic in 2017. In the first half, he hit at a .274/.375/.521 clip with 13 HRs and 49 RBI. In addition, Yasiel Balaguert, David Bote, Trey Martin, and Charcer Burks should be starting everyday in Des Moines next summer. Remember the name Adbert Alzolay. Out of all the prospects at Tennessee, I think he might be the most ready for Chicago. Even though he is currently a starting pitcher, I can see him coming out of the bullpen in Chicago as early as the middle of next summer. With a fastball that sits 95-97, there’s a lot to like.